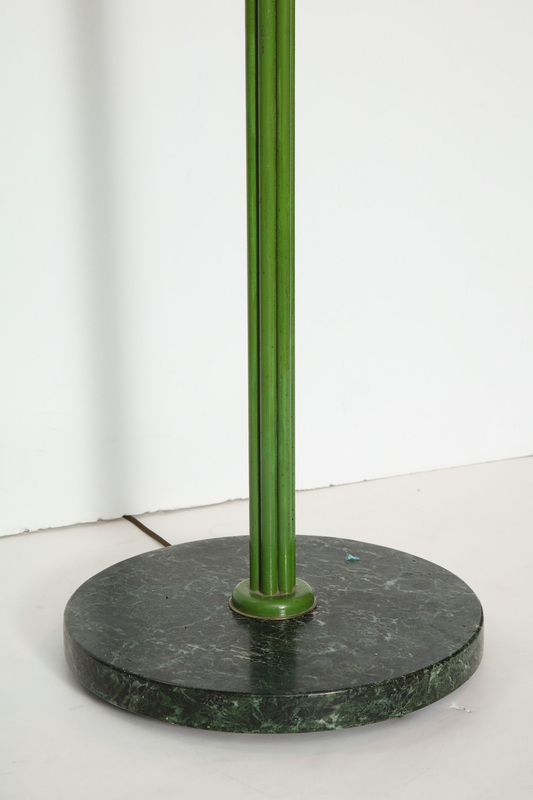 Green and white painted metal structure with polished brass mounts and dark-green circular marble base. Three up-lights inside brass cups with standard Edison sockets. 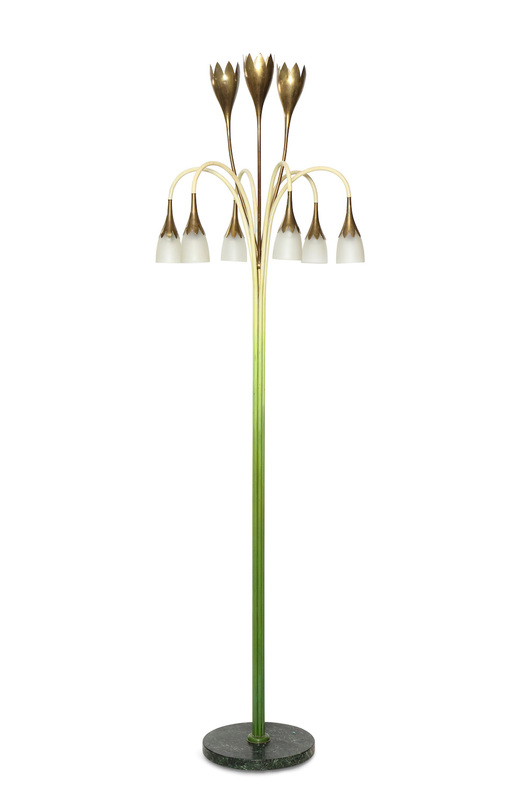 Six down-lights with candelabra sockets inside frosted glass shades. All wiring and sockets have been recently replaced. Small nicks to stone base, oxidization and general signs of age to metal, and some flaking to paint.